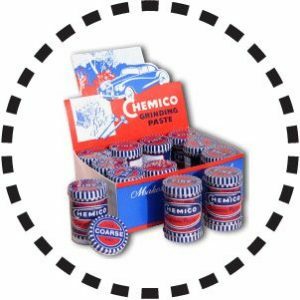 Chemico Sales & Overseas Ltd is a UK company producing Chemico Automotive Products and Chemico Grinding Pastes that are distributed all over the world. All products are made in the UK. 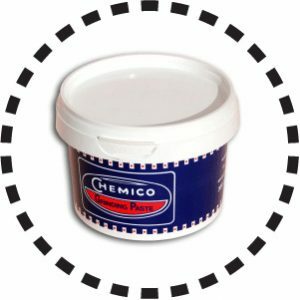 Chemico Grinding Pastes are used by automobile repair and restoration workshops, in general engineering and tool making and as a general lapping compound in many industries. 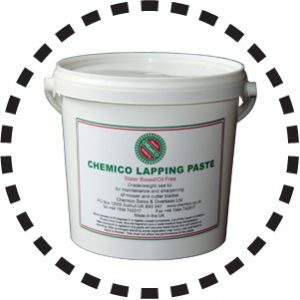 Chemico Lapping Paste is a water based lapping compound for use where grease is not desired, for example in the maintenance of sports ground machinery. 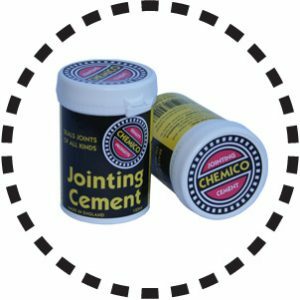 Chemico Jointing Cement is a universal sealant for all types of joints. This jointing compound can be used with or without a gasket to seal against leakage of petrol, diesel, hydraulic fluids, oils, paraffin, LPG, water, steam and gases. Silicon carbide is one of the hardest abrasives known and the particles are especially sharp. Moreover they are brittle and tend to break up into smaller particles that still retain their sharpness and so continue to work efficiently. Silicon Carbide is milled to provide the graded particles in each type of grinding compound. The four grades enable the optimum Chemico Grinding Paste for each operation to be selected for the most efficient grinding. A range of high performance, water based Lapping Pastes, incorporating a unique gel system that enhances the sharpening characteristics of silicon carbide grit. Depending on the degree of wear and type of equipment the correct grade is available from fine to coarse. An extremely stable easy to use paste having low environmental impact which does not require cleaning after use. Developed for the maintenance departments of golf courses, municipal organizations, schools and sporting venues. The combination of thermal, plastic and adhesive factors in this jointing compound is unique in sealant formulation. The plasticity combats the effects of temperature and pressure changes, shifting levels and stresses associated with assembly of dissimilar metals such as aluminum housings bolted to cast blocks. The adhesive factor not only assists gasket location but has been shown to be an effective locking sealant for imparting additional security to splines, studs and press-fit bearings. Chemico Valve Grinding Paste Double Ended has been popular for many years with both auto enthusiasts and repair workshops, providing a handy supply of a coarse grinding paste to cut and fine grinding paste to finish. Chemico Valve Grinding paste has a lithium grease base, specifically formulated and manufactured solely for Chemico Sales & Overseas Ltd. It has inherent shear stability, that is the lubricant remains in place during the grinding operation for the most efficient grinding, together with inherent corrosion protection and good sealing properties. Silicon carbide is one of the hardest abrasives known and the particles are especially sharp. Moreover they are brittle and tend to break up into smaller particles that still retain their sharpness and so continue to work efficiently. Use for grinding, lapping and seating valves in automotive, agricultural, garden and marine engines and for oilfield and other general engineering applications. Always consult manufacturer’s handbook/manual before commencing any operation and follow instructions given fully. This information is supplied for information and is based on laboratory and practical experience. In view of the wide range of applications and conditions of use no liability is accepted for any loss or accident which occur from its use or application.